Frantastic service! Prompt, efficient and great value. Fran is super helpful, punctual, polite, professional, very pleasant to talk to and took care to explain what the problem was and what she was doing. Fran arrived within an hour and completed the work in a flash and to an excellent standard. Thank you and well done! I would definitely recommend this company! Replaced a mailbox lock in my flat. Very efficient work at a reasonable cost. Was extremely happy with the service and would definitely use again if needed. Absolutely phenomenal service from Fran. Within 20 minutes of making the call, my lock was changed. Prices are very reasonable as well!! First class service, highly recommended. New lock barrel fitted very affordably. Incredible service: fast, efficient, so pleasant and so reasonable! I had called not even with a real emergency and within the hour from the first call, someone had been round, changed the locks and job done. Highly recommended!! No faffing with call out charge or anything! Very happy customer! Absolutely brilliant service! She was professional, SUPER quick and the price is (in many cases) almost 1/3 cheaper than other quotes I received. Lock seems to be good quality too. Definitely recommend and will use again if needed. Brilliant! Came quickly, sorted the problem with the lock, mended the front door (had to go and get spare parts but returned quickly), sorted other problems with windows (which we hadn’t asked about previously)… Fran was reasonable (cheaper than others had quoted) and extremely professional. All in we were really impressed. If only everyone offered such good, friendly, customer service life would be far less stressful. Amazingly fast, efficient and friendly. Fantastic! Same day service, lovely lady and great price. WIll use again ! Amazing service! So i locked myself out one night and called a different locksmith to help me get in, he showed up and said he can only break the lock to get me in so he drilled two holes in to the lock and charged me £150!! for a 30 second job. I called Fran and told her my situation and she agreed it was out of order. She turned up and replaced my lock in 10 minutes the price was also decent! Thank you for being so straight forward and efficient! Genuinely great service. Fast, expert advice and friendly! Fran is responsive to messages, helpful and professional. I had a front door lock changed and she also managed to sort out a window problem which would have cost hundreds to fix otherwise. Also, her (cheap!) prices are unmatched. Would 100% recommend. Thanks! Couldn’t believe it. I thought I’d bust the lock on my double glazed front door after a stupid attempt to fix it myself and called Fran. Worrying if I needed a whole new system installed etc etc and would I be shelling out a load of money I didn’t possess. Fran arrived when she said she would. Took the drill out and within one minute had the lock fixed and working again, plus great advice re the “wobbly handles”… the unbelievable bit? She wouldn’t take a penny as she said she hadn’t done anything! Wow! In this day and age I wasn’t expecting that! She asked me to drop a review on here though which I’m more than happy to do and cannot recommend her enough! Thank you Fran! Great service – really quick and much cheaper than anywhere else. Highly reccomended!! I couldn’t be more pleased with Fran’s work. I raised a call to her through FB Messenger (she is on FB), got the quote and approved the work online. When she turned up she was neat and professional, cracked on refusing coffee, not needing the loo – the usual stuff you just expect from handymen – and only disturbed me with milestone updates (like needing to collect the lock mechanism from a nearby supplier) and to say she’d finished. She accepts bank transfer payments (as well as cards) so no awkward moments scrabbling around for cash. Only when the job was done did we engage in a bit of banter about old pet cats and how they can’t be trusted before she drove off to the next no doubt happy customer. Two hours ago I had an emergency on my hands and did not know Fran. Now, thanks to Fran, I no longer have the emergency, have a working lock and an added favorite. Fran was very friendly and clear about the issue and my options. I would definitely recommend Fran to anyone and happily use her again. Thank you Fran! Awesome, friendly and efficient service and at a fantastic price! Good communication on the price (upfront) and appointment time. Very highly recommended! Amazing lock smith… even happy to give advice over the phone for locked out hen party in Lanzarote!! Highly recommended!! Extremely fast and friendly service. Job done within 10mins and even got a free set of keys… bonus! Flat fee includes call out, labour, parts and keys – cheapest and most efficiently service in Manchester. Would recommend to anyone in need! Really impressed with the service I received . The price was great, the job was completed very efficiently, plus Fran was so lovely and friendly. Would definitely recommend this service to anyone in need of a quality and reasonably priced locksmith. Brilliant service. Accommodated me on a Sunday evening for a very reasonable price. Friendly and professional. Importantly, the quote I was given was the price I paid! Would highly recommend and will definitely use again! Easily contactable and friendly service. Made time to see us the same day and was quick and professional. Friendly, flexible on timings, speedy, did a very good job, and a fair price.. Everything you could want really. Highly recommended. Great, fast service , replacement lock all done on my lunch break! The cost is unbeatable!!. Great service 🙂 managed to get a same day appointment to change the locks on my door, fast and affordable prices. Managed to loose the only key to my garage. Fran turned up quickly, got the door open, replaced the barrel with 3 new keys and all in a matter of minutes. Best service you could ever ask for and less than half the price anyone else would charge. Quick, efficient, affordable, friendly. Would recommend. Great service, would highly recommend Fran for efficiency, knowledge and friendliness. Problem fixed with no stress. Fran is very friendly and efficient. We thank her for her help. Called Fran and she was at the flat in less than an hour! Kept in contact with me even though I wasn’t there, gave me different options over the phone, then fixed the lock quickly with great workmanship. Very pleased with the job and price, definitely recommend and will use again. Fran is brilliant – I managed to book in yesterday for a lock replacement this morning and she did the job within 10 minutes. She’s really friendly, her prices are spot on and she is very efficient. Will definitely use Fran again if I need to, and have already passed on her number to others. Thank you Fran! Quick, cheap and easy. She was around within the hour and finished the job in just a few minutes. We needed a lot of keys for house mates and knowing this she got us a lock that came with extra keys. Highly recommended. Just called Fran out to replace the lock on a postbox in an apartment building, which the previous owners hadn’t given us keys for. She was very efficient and really friendly and got the lock changed in a matter of minutes, all for a great price. I absolutely recommend her to anyone that needs a locksmith! I rang Fran earlier today to come out and replace/repair the lock on my front door. I explained the problem and she said she could either come out immediately or talk me through how to fix it myself. It took me under a minute and cost me nothing thanks to her simple advice. Couldn’t recommend highly enough. Very impressed!!!! Phoned Fran in a bit of a tizz after thinking i had broken my neighbours door while cat sitting! She was very calm and direct and arranged for someone to come out in less than 90 mins (during rush hour, to a location on the very outskirts of Greater Manchester). The out of hours quote was extremely reasonable and the locksmith who attended very professional. Turned out I hadn’t broken the door but he sorted the problem very promptly- I’m 34 weeks pregnant and to have it resolved so quickly was a godsend! Ive saved Fran’s number to my phone and will be recommending her. Fran was quick to respond to my request. Gave me some options and was there the following morning to fit the lock I wanted. Very efficient and professional. Cleaned up after the job. Would highly recommend her. Wow, how can you fault fran? Amazing service. My door handle was spinning freely and wouldn’t open. Called a locksmith near me who wanted “erm minimum £200 but I would have to come see it so price would be higher”. Found fran on Google, rang her, she asked me to whatsapp her the photos and within 45 mins she had come and then wham bam she opened the door for less than half the price!! Couldn’t be happier. Have given her number to my sister in law Thank you so much. Wow. That is what I call great service. Within the hour I had new lock, set of keys and a fully functional front door again. Really could not speak highly enough of the service. A must for anyone needing a locksmith in the area. And an explanation of cause of issue should prevent further occurances. Great service and very nice person. She kindly explained to me the reason why the lock was broken, and changed it in less than 5 minutes. Would definitely recommend her. Fran was really great; very efficient and extremely professional. Couldn’t rate her highly enough! Great service and a great price. Really impressed with the service I received. highly recommended! Great service for a great price, extremely efficient fast and friendly 🙂 Thank you! Great service, on time and fast! The best in Manchester. Got a great service for a great price. I lost the keys to our shutters and they where drilled out in less the 20 mins. 100% recommend. Great service from Fran, she got the parts very quickly and was round early in the morning, and had a whole new complex lock system fitted in less than 15 minutes. The price was spot on too. Highly recommended. Great work, great service and great price. Sorted out all 5 of my previously rubbish bedroom doors. Before calling any other locksmith definitely give her a call. Thanks a lot Fran, we are very happy. Amazing locksmith, cheap, quick and really friendly. Was round within 20 mins of calling. Replaced lock quickly. Great service. 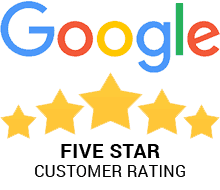 Received an excellent service from Fran on 8th March I rang for her help not expecting such a quick response, she was at my house within half an hour and changed my lock. Great job at a great price no need to look anywhere else! Fran did a fantastic job! Definitely recommend 🙂 Fran your a star thanks again! Called out on a Sunday – and Fran was here within 30 minutes and the job was completed. A third of the other prices I was quoted. Fran was the cheapest quote I got by far. Changed my apartment door lock same day. No fuss. Rapid response. And so much cheaper than other quotes. Thanks. Have always been impressed with Fran. Great locksmith. Fast and cheapest quote. Changed the locks at my business premises within half hour of call. Good job. Very efficient great service with a friendly smile. Fran must be the least expensive locksmith in the North West. Would highly recommend. Rapid response. And so much cheaper than other quotes. Absolutely fantastic service. Prompt and efficient and will definitely recommend her to anyone I know who needs a locksmith. Fran was great – quick and efficient service at a competitive price. Would recommend! Friendly, helpful and efficient, couldn’t really ask for more. Cheapest locksmith , very pleased with the work done. Thanks Fran!!! Fast. Friendly. Efficient. And great value. Highly recommended. Trustworthy and did a great job. I had a broken key stuck in a lock in a balcony door. Fran came out the next day with no fuss. I wasn’t in at the time, so left cash to cover a number of circumstances depending on the work required. Fran got the key out, so we didn’t need a new lock, and so the charge was the lowest of the options. Fran took only the cash owed. Communications were great throughout. Fantastic service, amazing value for money, would highly recommend. Fran was extremely professional and efficient at changing all the locks in our new home. Very reasonable price as well for the quality of service at such short notice. I would definately recommend to friends and family. Fran changed 3 locks for me for a much better price than was offered anywhere else. Quick, friendly and punctual despite awful traffic and weather in town. Highly recommend. An exceptionally friendly service, Fran fixed my lock when she could have easily charged me for a replacement. Great price. Thanks, Fran. Absolutely fantastic service from Fran today. I gave her a call Monday evening, my locks were changed Tuesday morning. Can’t get much more efficient than that! I will be recommending Fran to anyone I know needs a locksmith in the future! I am a private residential landlord owning several properties in Manchester and Salford and, as such, have had extensive experience of locksmith services. I’ve engaged Locksmith Manchester on two occasions and received exemplary service. This locksmith firm is the best I have ever dealt with and will be my first choice for all future jobs. Fran, the owner, is an absolute delight to work with. Fran came out to change a lock at my business. As it was quite urgent that I changed the lock, Fran came out sameday. She was very quick and efficient and had it done in no time at all. I would certainly use Fran for any further work I required. Called Locksmith Manchester 0161 on a Sunday expecting no answer! Got a quote and booked it for the following Thursday to fit new internal locks. Professional, efficient, no mess and value for money. Shame they don’t do plumbing and electrics! Can’t fault this company. Fabulous, no fuss. Very fast friendly and efficient,would highly recommend! Fran was great. Came when she said she was coming. Did a great job and put my mind at rest. And… fast, efficient and more than reasonably priced. Will recommend Fran to anyone! No job too small. My door was sticking and was difficult to open and lock. Fran was efficient, very honest and never made me feel like I was asking silly questions about the door. Sometimes these people can think you’re an idiot, not Fran! Great job, quick service and very reasonable price. Fast, professional and high quality locksmith. Fran was able to fix two locks very quickly and for a very competitive price. From researching other local locksmiths, I found that Fran was the most cost effective. I am very happy with the work she did. Fran was very friendly and hard working. I would recommend to other people who are looking for a reliable and professional service. I was absolutely delighted with Fran, she contacted me quickly after my first request and was round within a couple of days and sorted all my locks out even old knackered ones. She is clearly an expert with locks and could deal with all the specific issues my old doors through up. Lovely lass who is really friendly, professional and knows her stuff….and cheap!!!!!. Couldn’t recommend her more highly even if she did think I looked like the sort of person who keeps live chickens in their front room!!!!! Thanks dear if anyone needs a lock I shall definitely be sending them your way!!!! fran is a hero, She came to our rescue, after we were ripped off by company called EXTREME LOCKS. Please stay away from them.Paid them £263 to open our front door and replace lock,They did not have the parts.They came back the next day and wanted another £255 .I told them to get lost and leave my house, Over £500 for a new lock no way was I paying that to con men. I got on the web and got in touch with FRAN,She came around to the house went to collect the parts needed and the job was done very efficiently and speedily.The price she quoted me was excellent.I would recommend FRAN TO ANYBODY YOU WONT BE LET DOWN ,PLEASE GIVE HER A TRY U WONT BE SORRY;from one very very happy customer.